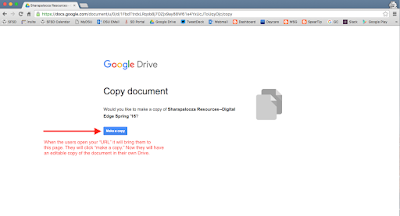 If you have a Google Doc that you would like to share with people so they can make a copy of it for their own Drive, Google has a nice little trick to make this happen. 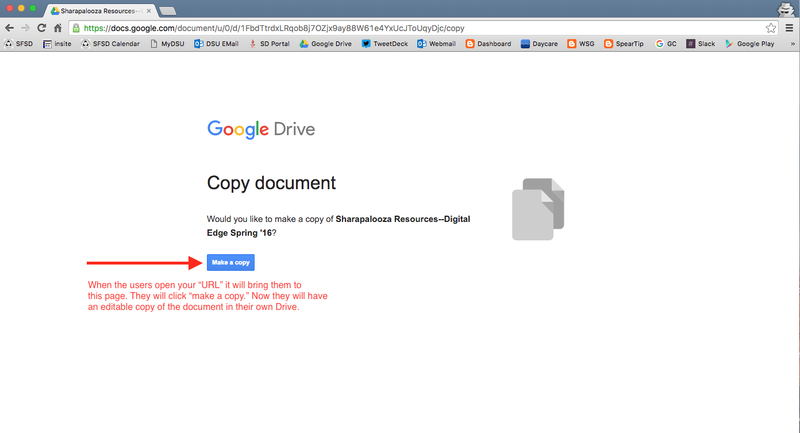 When the users click the link to your Doc, it will force them to "make a copy" of the doc before they can access it. Once they click the button, a copy of the Doc will be automatically created in their Google Drive, which they can move to a folder to stay organized. To do this, grab the URL from your document when it is open for editing. The last word on the doc URL is "edit." Change that word to "copy." Share that URL with people.